This house, on the slopes of Mt. 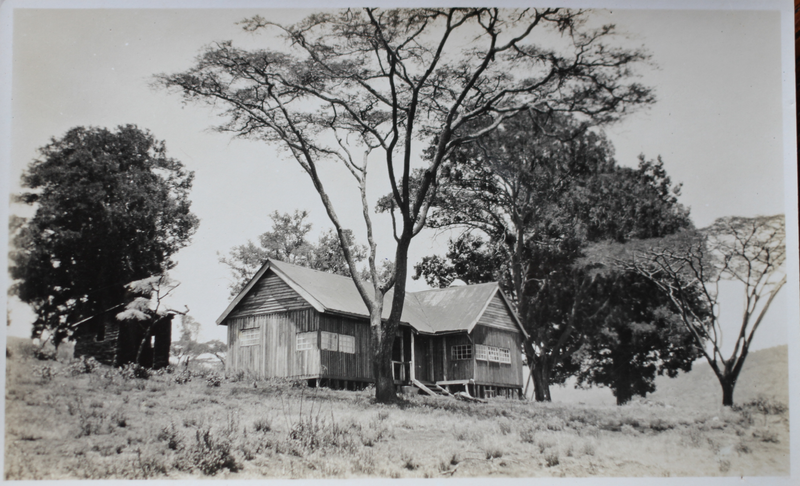 Elgon near Endebess, was initially the weekend cottage of Major F H Le Breton, MC, who came to Kenya as a Soldier-Settler in 1921, after his wife joined him in 1927. They later enlarged it to become their permanent family home. The wooden house is set on Elgon Olive tree stumps to deter white ants.